Irrigation provides the ability for farmers to cultivate year-round, increasing both incomes and nutrition. However, gender-related challenges of land and water access, labor, and group governance create several disadvantages for many farmers. Our project, prioritizes the engagement of both men and women, from design to planning to implementation of irrigation systems. We aim to address current gender norms and dynamics that inhibit meaningful participation for women and other marginalized farmers. Labor Time & Alternative Responsibilities: Women’s extensive responsibilities in staple crop production, domestic labor, child care, and non-farm businesses makes it harder to participate in group activities, take on leadership roles, and find time for irrigation and maintenance. This limited time means that challenges in sharing equipment and water results in less chance for them to irrigate effectively. Socialization and Experience with Equipment and Machinery: Women and men both often question women’s ability to use irrigation equipment, however this is mainly due to social expectations that they are not able rather than actual ability. Women can become quite competent in irrigation equipment and works when given appropriate training and opportunities to try. Ability to Rent Land of Appropriate Size, Location, and Cost: Due to the requirement of being near to water, most Ugandan farmers rent land in areas with irrigation access. Women often need to rent smaller plots, and pay landlords in installments, due to less control over household income than men. This requires organized ways for women to access irrigable land, such as savings-integrated irrigation groups and womens irrigation land trusts. The Women’s Empowerment in Agriculture Index (WEAI) is a survey-based index developed by the International Food Policy Research Institute (IFPRI), Oxford Poverty and Human Development Initiative (OPHI), and USAID Feed the Future. It is designed to measure the empowerment, agency, and inclusion of women in the agricultural sector. Our project adapted the WEAI for application in small-scale, farmer-managed irrigation projects, and we are using it to understand women's challenges in participation in irrigation that persist between and among our project sites. Data from this survey is available to researchers, students, and others. Visit Data for access and to learn more. This has been incorporated into the student program at that continues the activities of the learning program and advocates for university support, builds partnerships with gender advocacy organisations, and enhances curriculum related to gender. 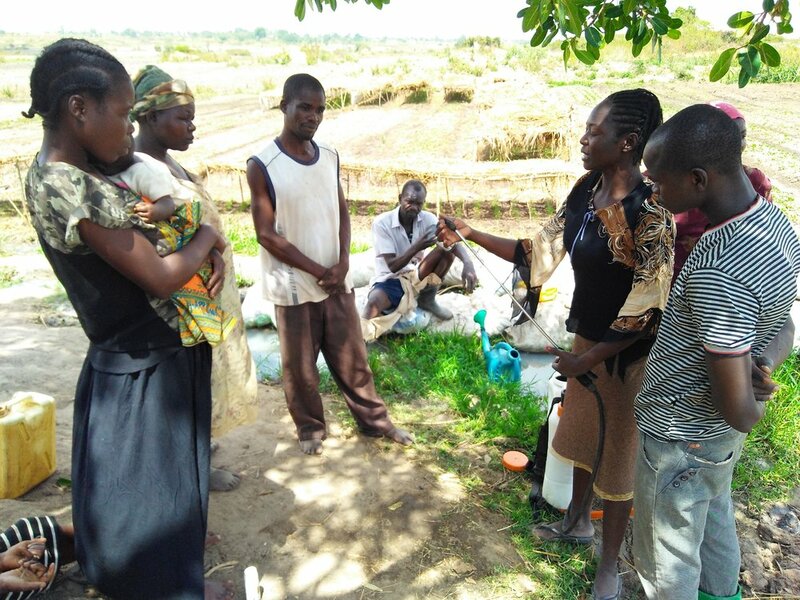 Our project is currently developing a practical guidance toolkit on addressing gender equity constraints and opportunities in the process of designing and implementing small-scale irrigation projects, based on the successes and lessons learned over four years of our work in eastern Uganda. The toolkit may assist development practitioners, non-governmental organizations, or agencies working directly with farmers on community and household-level implementation of irrigation projects, and does not intend to address policy-level constraints beyond local water user group institutions.